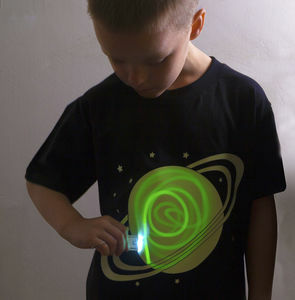 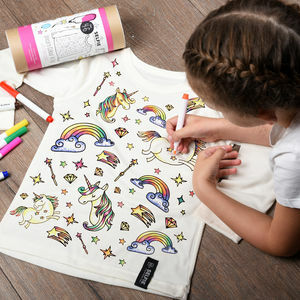 A beautifully designed T Shirt with magical wording that will catch any little girl's eye. 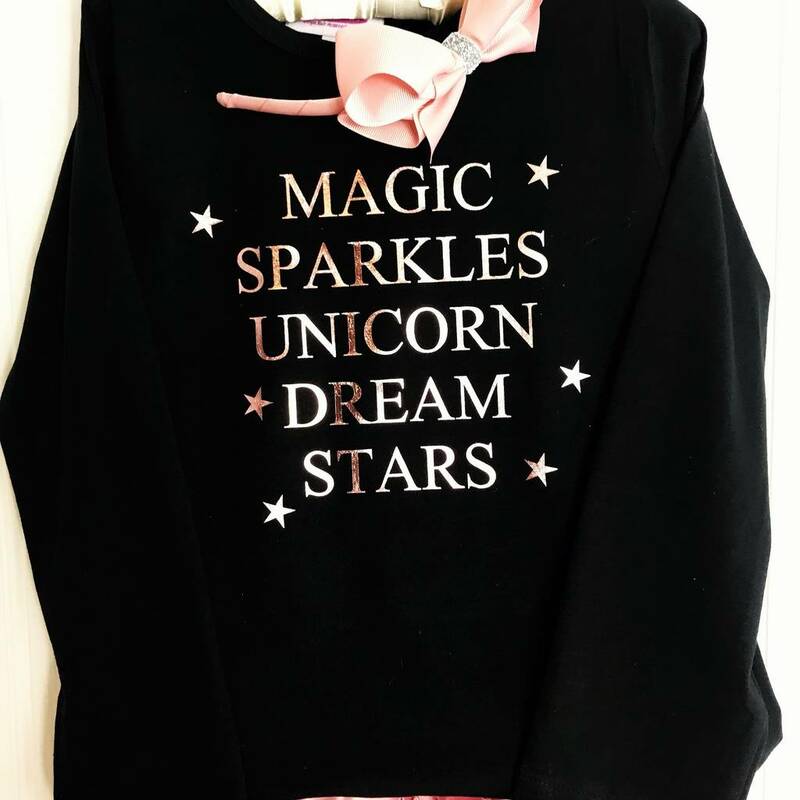 Magical, Sparkles, Unicorns, Dreams and Stars wording all embellished on a T Shirt. 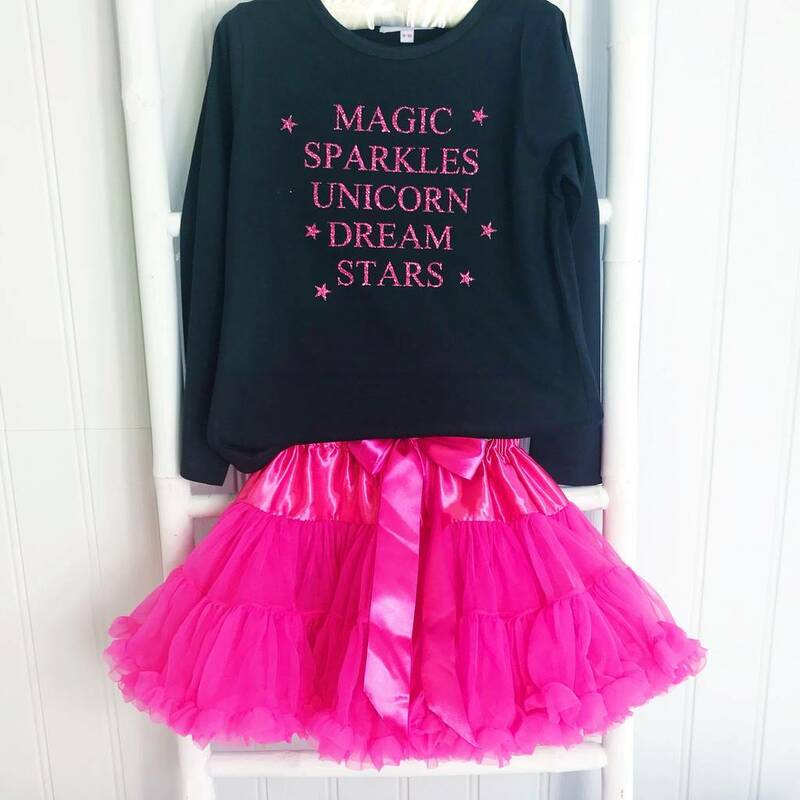 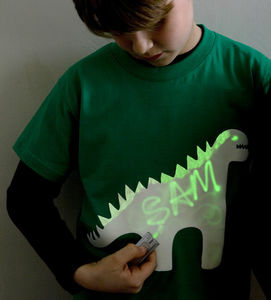 A very magical style t shirt that can be worn with jeans or leggings or one of our very fluffy pettiskirts. 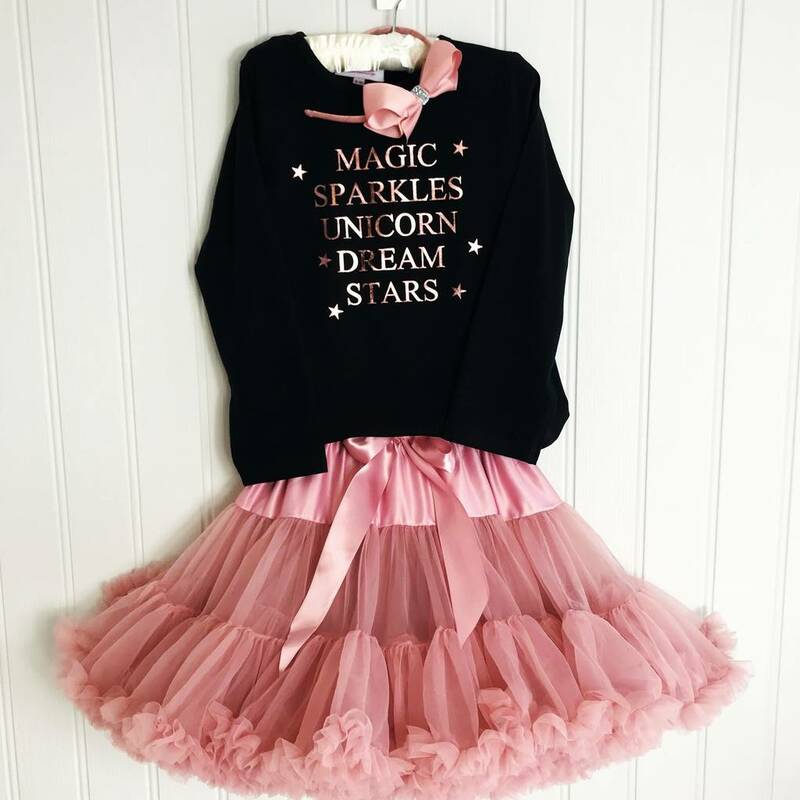 We have an extensive range of colours available on our online shop, but the most popular colour to team it with is our Moonstone Pettiskirt Tutu. 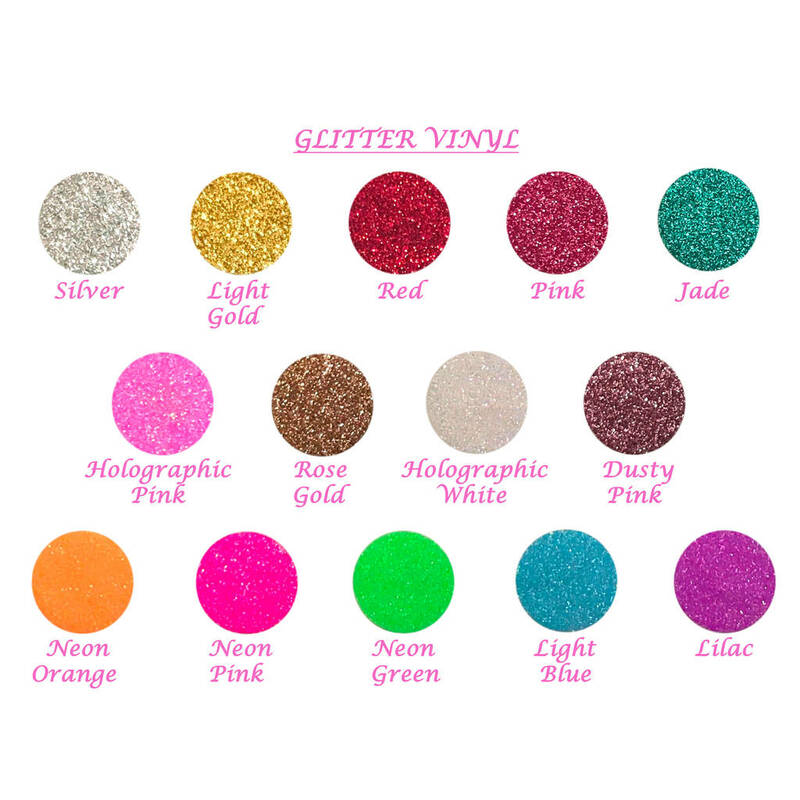 You can choose from glittery wording colours: Gold Glitter, Silver Glitter, Pink Glitter, Blue Glitter, Red Glitter or Red Glitter. 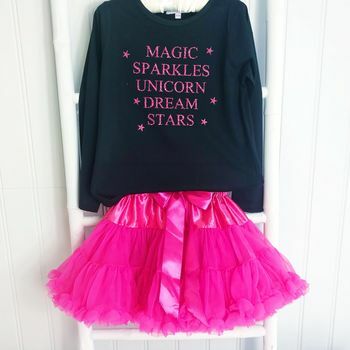 Also shown in photos:Our Magical Sparkle and Glitter Make Up/Accessories Bag and our Personalised Star Hoodie.